In May 2016 Elle Halliwell, the young, dynamic and hugely popular Daily Telegraph Fashion and Entertainment Reporter, was diagnosed with leukaemia. A few days later, just as she was telling friends and family about the grim diagnosis, she found out she was four weeks pregnant. She was faced with an impossible choice: either terminate her unborn baby and begin the treatment that gave her the best chance of survival, or continue with the pregnancy and delay effective intervention for her cancer, a course that could lead to her death. 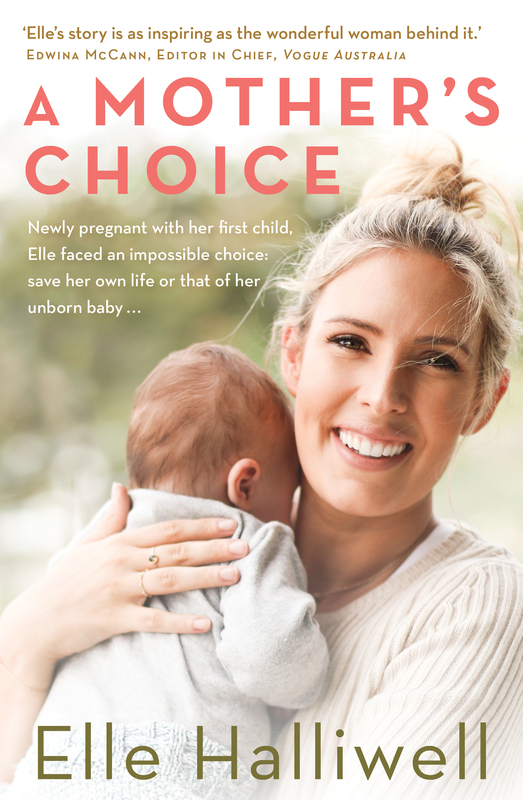 Elle chose her baby over herself, a mother's choice. Her memoir details her illness, her pregnancy, and against all the odds, the ultimate triumph of giving birth to her son in December 2016. Now on the road to recovery, and the mother of a beautiful boy, Elle has discovered a new passion for nutrition and healthy living. Her journey, hard and painful though it was, has made her more determined than ever to live well and enjoy life to the full for the sake of her family. A Mother's Choice is compelling, moving and inspiring. Every week Elle Halliwell keeps millions of Australians up to date on all things entertaining and stylish thanks to her work with the country's top media outlets. With more than a decade's experience in print and television media, the Australian journalist has become one of the country's favourite showbiz and fashion commentators, reporting beauty, style and celebrity news via her weekly columns in The Daily and Sunday Telegraph's and number one national radio show, Confidential on Nova.